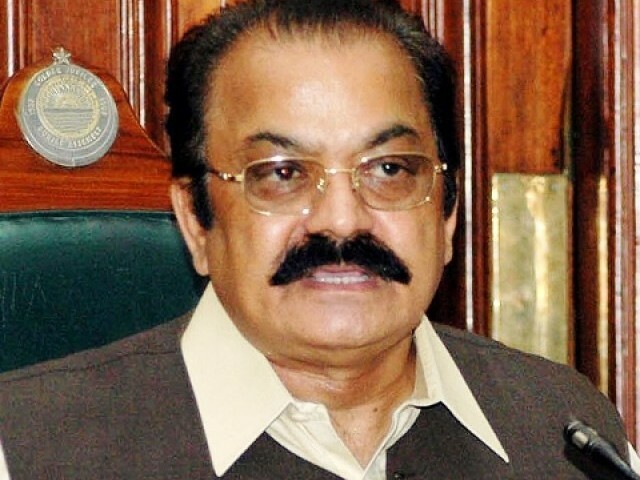 Punjab Law Minister Rana Sanaullah on Sunday said if the women protection bill had any section against Islam; the government would certainly review it. “If the women protection bill had been passed earlier, Imran Khan would have ended up with a GPS bracelet on his wrist,” he said while talking to media after the inauguration of a Madressah at Jamia Masjid Madni here on Sunday. Sanaullah said the objective of the bill was to provide protection and legal aid to the oppressed women. While commenting on the working of the National Accountability Bureau (NAB), the provincial minister said that the honest government servants would have a sense of security if the bureau performed its duties with sincerity.